Today was the day of the big 5k that I’ve been training to run. Despite the rough start, for two months, I’ve been really consistently building my endurance. Okay. That’s kinduva lie. For 5 weeks, I’ve been really consistently training. Then for the next two weeks, it was pretty hit-or-miss. So today was the day. 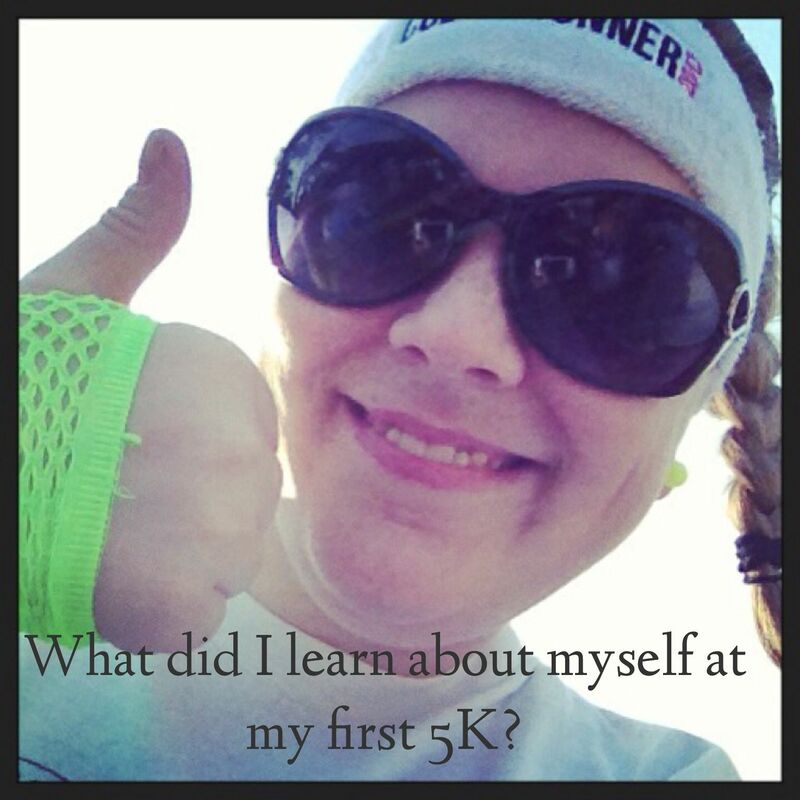 I was nervous about what to expect at my first 5k. But once we got there, the excitement was contagious! This picture was taken in the middle of a pumped up crowd with fun music blasting loud. Are you ready for the results of my deep soul searching? 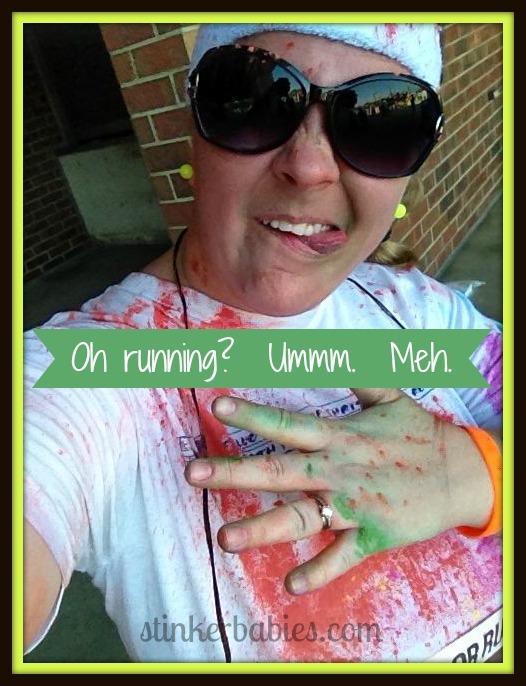 At about mile 2 of “The Happiest 5k on the Planet,” someone asked me if I was having fun. Don’t get me wrong. I actually enjoyed running on the treadmill. Inside. In private. Where you have to maintain your pace and, unless you want to break your leg, you have to keep going. I loved keeping up with my friends in our online accountability group. I really loved getting hot pink “Hot Mess” knee socks to wear with my group and finding the perfect silly accessories to go with our Hot Mess theme. I really, really loved bonding and being active with my girls. The encouragement and support were just fantastic. I even loved getting messy today. I just really did not love the running part. Like…At all. So that’s what I learned about myself. That’s my deep philosophical self-discovery. I need a new exercise hobby. Either that or I will just keep training for the Treadmill Olympics.